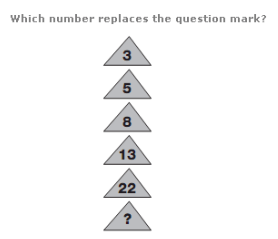 By using your numerical and logical reasoning skills please try to figure out which number is missing in the questions below. 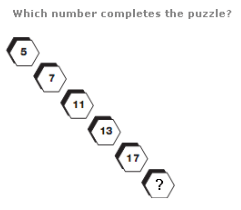 The numbers around will give you the clues you need to solve the puzzle. 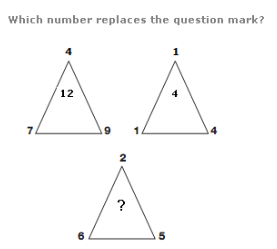 The number at the centre of each triangle equals the sum of the lower two numbers minus the top number. 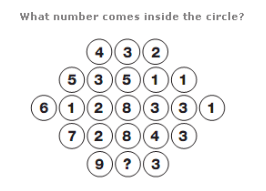 As you move diagonally down, numbers follow the sequence of Prime Numbers. 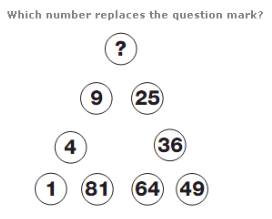 Starting bottom left and moving clockwise around the triangle, numbers follow the sequence of Square Numbers. Working from top to bottom, double each number and subtract 1, then 2, then 3 etc.